In November, 2016, Google announced they were starting to experiment the so called “Mobile first indexing”. 2018 will be the year in which this will effectively roll out, little by little, for all websites. Up to now, Google has crawled websites using their Desktop Googlebot for most of the time. This means that their indexing mostly looked at desktop versions of web pages. 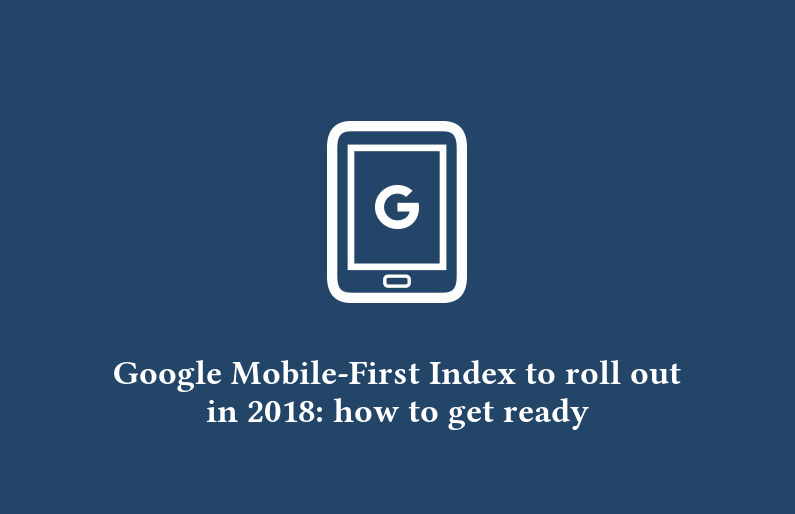 This will experience a huge shift in 2018 when the mobile first indexing will effectively roll out and Google will switch to their Mobile Googlebot more. When this happens, they will index websites looking at the mobile version of their pages first. Is my website ready for Google Mobile-First Index? If you have a website with a Responsive Web Design already in place, you may have not much to worry about, since content between Desktop and Mobile versions of your pages is very much likely to be equivalent. 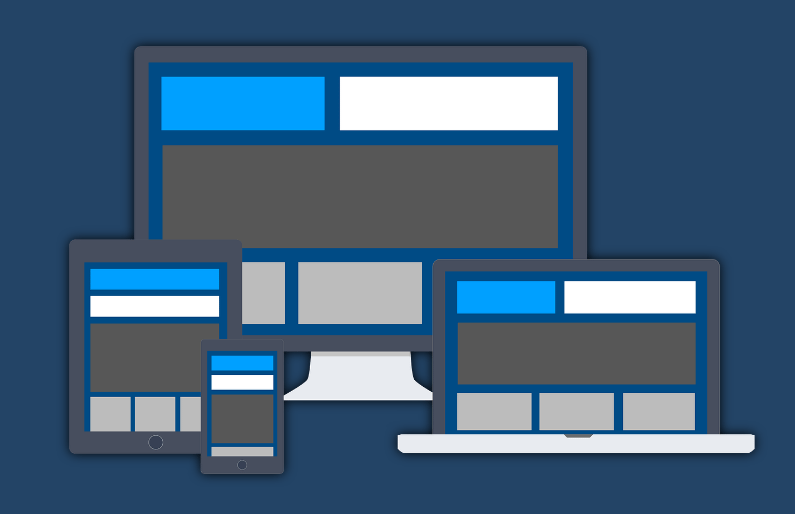 Need a Responsive Web Design for your website? Still, Google gives us the following suggestions to look at, if we want our website to be ready when the mobile first indexing rolls out in 2018. This will also prevent our website from not showing up as they should in the Mobile Search Engine Results Page. If you design your website content thinking of Mobile audience first, then this is going to be very easy to achieve. Anyway, Google wants to make sure “the mobile version of the site also has the important, high-quality content”, which includes text, images (with alt-text), and videos. Structured Data (such as Schema.org markup) is growing more and more important for SEO as it helps Search Engines to better index your content (often generating snippets such as Rich Results). 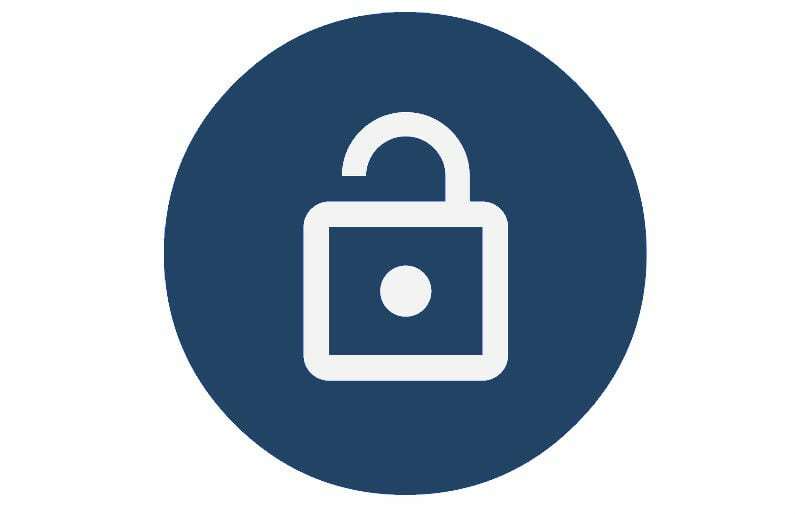 If you have them in place on your website, it should be both on the mobile and desktop version of the site. As for everything else, metadata such as page titles, meta descriptions and ALT text on videos and images has to be equivalent across different versions of your website. When using link rel=hreflang elements for internationalization, link between mobile and desktop URLs separately. Your mobile URLs’ hreflang should point to the other language/region versions on other mobile URLs, and similarly link desktop with other desktop URLs using hreflang link elements there. This does not affect websites that use responsive web design, as they don’t have different website versions hosted on separate hosts (such as m.example.com). AMP becoming a new trend in SEO in 2017? Apparently, no more than a week ago, when browsing Google News from a mobile device, just about 30% of the results were AMP. But, on January 29, AMP results increased up to 70%. Is this event marking the beginning of a new trend for SEO? It’s probably too early to tell, but it’s better to be ready. 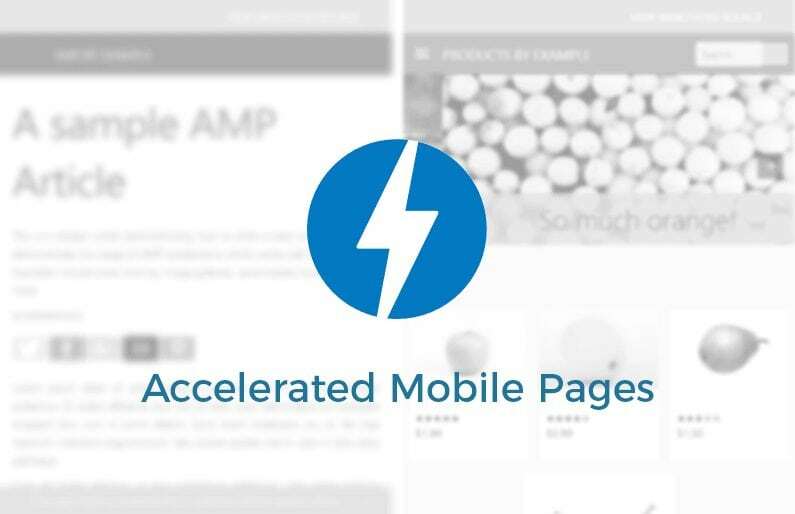 First announced by Google in October 2015, AMP basically translates to web pages stripped down of most of the “eye-candy” that makes them heavy, slow to load. In an increasingly mobile-oriented world, page loading speed is more important every day. So, the AMP Project‘s main purpose is to make mobile content available as fast as possible. It has been shown that about 40% of Mobile users leave a web page if its loading time is more than 3 seconds. You can see that this is bad both for the user, who won’t see your content, and for you, because you will have lost a potential meaningful visit. Test AMP search results with the demo provided by Google itself. Visit g.co/ampdemo from your mobile device. If you talk to publishers about this, you will probably get them interested! What is the difference between AMP and mobile-friendly pages? If you are one of our customers, you already know how much we are focusing on building mobile-friendly websites. Then, you may be wondering: is AMP different? 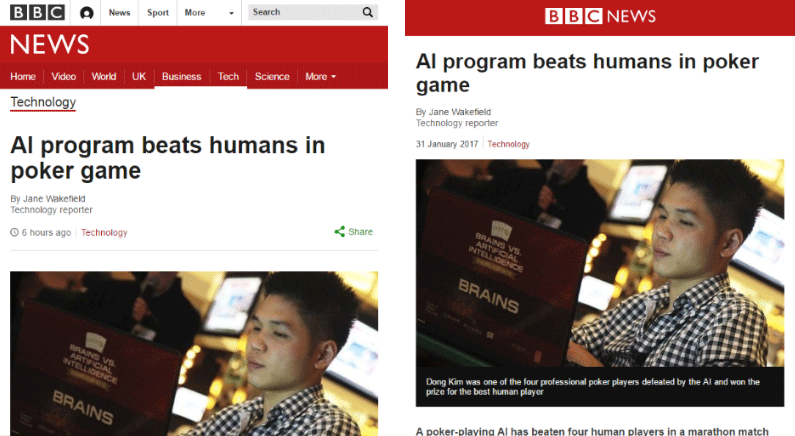 A quick example, took from this article on the BBC News website (AMP version here). The one on the left, is an example of non-AMP responsive design. You can see the header, the menu, the search box and other elements appearing. On the right, instead, there is the AMP version of the same page, stripped down to mostly the actual images and content. Even if AMP are indeed mobile-friendly pages, their difference lies in the amount of code used in the page itself. A non-AMP mobile friendly page will most likely have code that makes animations, scrolling effects and popups appear on the screen. AMP pages get rid of that, without compromising the actual content: images, videos and text are left untouched. Quoting Google itself: “We want webpages with rich content like video, animations and graphics to work alongside smart ads, and to load instantaneously”. So, it is worth noting that AMP does not necessarily mean no Ads. AMP and non-AMP version of the same page can currently co-exist without causing Duplicate Content issues. Make sure that the AMP versions your pages have a rel=canonical tag that links to the non-AMP ones. Is AMP going to be used as a Ranking Signal? Again, it’s probably early to tell. It’s worth mentioning that back in February 2016, in a Google Webmaster Central Hangout, John Mueller said that AMP was not yet a Ranking Signal. Still, considering the sudden growth of AMP results in Google News, and the fact that Google has been placing mobile experience first for a long time now, then it’s easy to imagine that it could happen. We’ll stay on the watch for any change. Also, Search Engine Journal collected insights from SEO professionals around the world, some of which are keeping their eyes on what kind of importance Google may give to AMP in 2017. That won’t put anything between the user and the content. Mobile-friendliness, Page Speed and User Experience are indeed Ranking Signals! Also, with AMP in mind, you may end up writing better content, since you would have to pay far less attention about the layout. If your website is built using WordPress as a CMS, then to setup a basic AMP on your website we suggest you to install two plugins: AMP by Automattic and AMP for WP by Ahmed and Mohammed Kaludi. From this page, you can help yourself through the provided links to learn how to setup AMP properly. Be sure to always have the latest WordPress version installed and also always perform a backup of your website before installing plugins. If you are not using WordPress, the best place to get started is the Guide provided by the AMP Project itself. Need help to setup AMP for your website? If you don’t have time to setup AMP on your own, or just need some help, contact us: Handyweb can help! 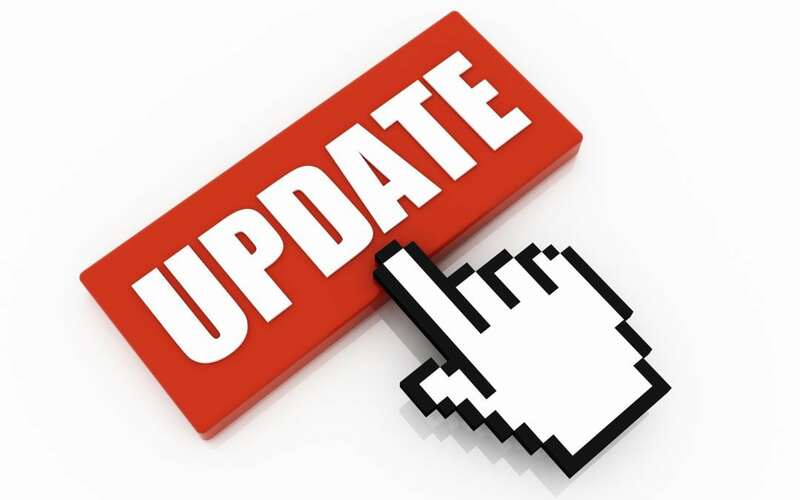 The so-called Google “Mobilegeddon” Algorithm Update will roll out on April, 21 2015. Google is going to penalise those websites who are not Mobile Friendly by making them rank lower on Mobile Search Engine Results Page. Mobile Browsing will very much likely grow more and more, therefore having a presence in Search Engine Results Page on Mobile can be very important. We at Handyweb.ie can deliver Mobile Friendly websites by applying the so called Responsive Design. With these design content acts very much like water does: it adapts itself to fit on any screen, no matter the width and resolution. This is the first step to get the best possible User Experience for your mobile visitors and customers and, ultimately, this is what Google is trying to achieve by rolling out this Algorithm Update. Not sure whether your website is Mobile Friendly or not? Take the Smartphone Friendly Test for your website here! Don’t be left behind talk to us today! If I told you that over 10% of all shopping by Irish consumers will be done online within the next two years – you wont be so worried. Maybe you think its only 10% of a big cake or maybe you think is it eating more than 10% of my industry cake and each year after this will take bigger slices? What if I told you that this year the online spend by Irish Consumers represented €5.9 billion and is projected to reach €9.3 billion by 2017 ( thats just about two years from now!). If I judge by my own home over Christmas I can say that over 40% of all shopping was done online ( and this % is much higher from the two single young adults in the house!). Even I was astonished to find that my youngest had completed her Christmas Sales shopping on Christmas day ( yes, online!) as many sales stores opened online as soon as the retail premises closed on Christmas Eve. ( Was Nero eating Christmas cake while Irish consumers burned their credit cards). The research stats* are that 59% of Irish adults shop online at least once a month and your business needs to be online to ensure your business gains as the growth in broadband speeds fuels this spend not just amoung the younger generation who are already more than happy to transact their business online. Its time for Irish businesses to wake up to the continued growth of very substantial sums online and be ready. No, it is not about you closing your retail or wholesale premises and going online. Handyweb.ie offers a complete web consultancy service from small and medium size businesses to ensure they are geared up to deliver a quality online business. With handyweb.ie your website is designed in a user friendly manner, so that you provide a professional quality service that reaches out to these consumers. From user friendly websites with responsive design that works fluidly across laptops, ipads, smartphones, tablets and desktops , matched with a quality easy to use management system, shipping and voucher systems – and this is only the foundation stone. Our expertise can advise on and deliver packages that will drive your website marketing forward through Search Engine Optimisation, Social Media marketing and other effective ways to reach out to that fast growing spend. Your business may also be in a position to benefit from up to 50% funding for your new website. 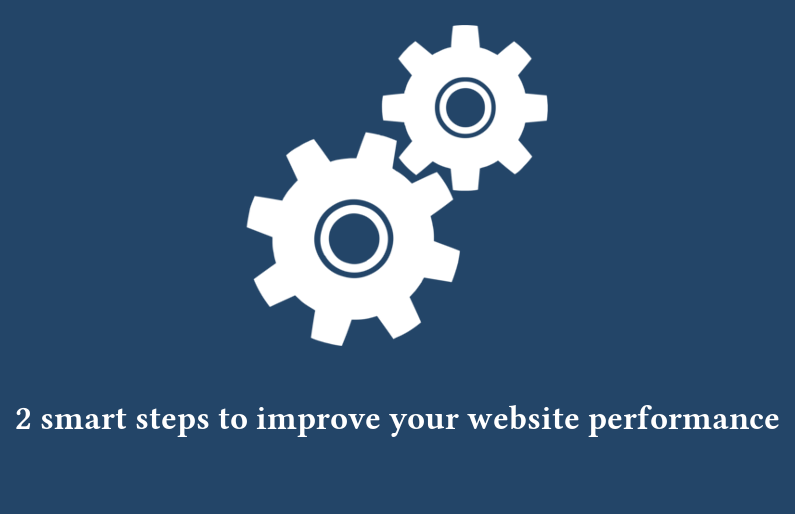 Your website deserves the best way to reach out to as many users as possible. Forget about people selling you a separate smartphone friendly website ( and charging you an ongoing fee for it!- anyway Google is not overly fond of finding two websites belonging to you and having similar content – you are at risk of negative scoring from them!). Web searches on smartphones are growing at a rate of over 50% per annum. Dont be left behind. Now is the time to start thinking about a single website that does not care what size screen your website is being viewed on and which automatically changes its style and layout depending on whether your website is being viewed on a desktop/laptop, an ipad or tablet or any kind of smartphone. Yes – at Handyweb.ie one website does it all. Checkout our short video that says it all and start talking to us now – you will be surprised how cost effective and efficient our solutions are. Our web design team deliver creative and clever solutions for clever businesses. Handyweb.ie have the H.Q. in Mullingar, Co. Westmeath and provide quality web services throughout Ireland. Check out some of our great responsive websites here.